Page 59 — Party-crashers from the sea! But it seems that Fins may be smarter than Hands. 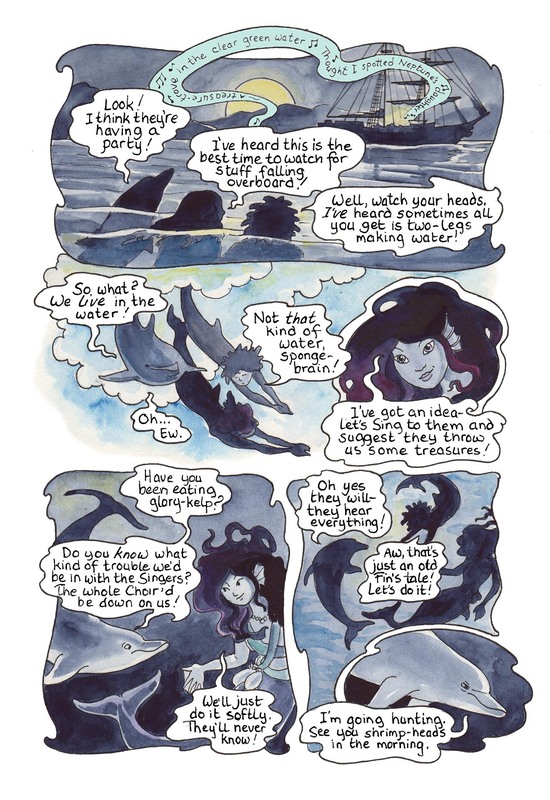 This comic was posted in Mermaid Music and tagged comic, dolphins, fantasy, graphic novel, merfolk, mermaid, mermaid comic, sea comic, ship, watercolour, webcomic. Yes, that smile is deceptive! Thanks for reading, and commenting too!